In my family baking with the kids is a huge holiday tradition; especially during Easter. There are so many bright and fun recipes to be made I just can't resist. All that sugar adds up though. Why not try a healthier alternative. 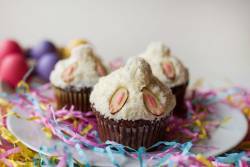 In The Raw products have so much less sugar and can be substituted in your Easter recipes. Stevia In The Raw® is a zero-calorie sweetener, perfect for any baking and cooking needs. It contains an extract from the sweet leaves of the stevia plant. Stevia In The Raw® is available in conveniently portioned 1g packets, quick dissolving tablets for on-the-go, non-GMO bulk jars and a user-friendly bakers bag. One packet of Stevia In The Raw® is as sweet as two teaspoons of sugar. Stevia In The Raw® Bakers Bag measures cup for cup with sugar, so it can easily be used in recipes to reduce sugar and calories with no conversion necessary. Stevia In The Raw® Bakers Bag is formulated so that 1 cup has the same sweetness as 1 cup of Sugar. 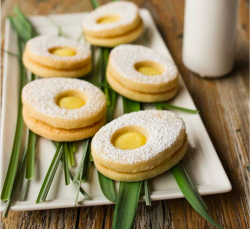 When using Stevia In The Raw® Bakers Bag for baking recipes, it is recommended that the user replace about half of the sugar in order to achieve the proper browning, rising and caramelizing that only sugar can provide. Up to 700 calories are saved for every cup of sugar that is replaced with Stevia In The Raw® Bakers Bag. In The Raw also has Sugar In The Raw. 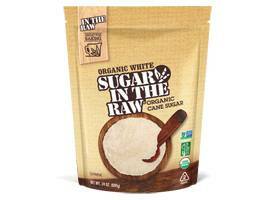 A wholesome alternative to refined white sugar, Sugar In The Raw Organic White® crystals are never bleached, retaining their natural-white color. Plus it blends, browns and dissolves easily in cooking and baking recipes. Eco-Social certified, USDA Organic and non-GMO, it’s a perfect choice for both you and the environment. 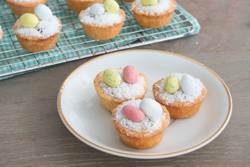 Click the links below to check out these amazing recipes and make your Easter recipes. Try baking them with your kids! 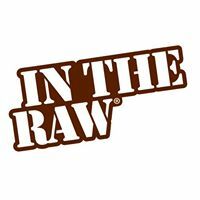 In The Know With JoJo responsible for the giveaway hosting and drawing of winners the makers of Stevia In The Raw® are providing the $25 Visa gift card and Sugar In The Raw Organic White sample and are responsible for shipping and prizes. I would love to make some peanut butter cookies! I would love to make the Easter Egg Cookies you shared above! The peanut butter cookies look great. I'd like to make carrot cake. I would make Strawberry Nectarine Pie. I would love to use it to make chocolate chip cookies! I would love to use this to make apple zucchini bread!